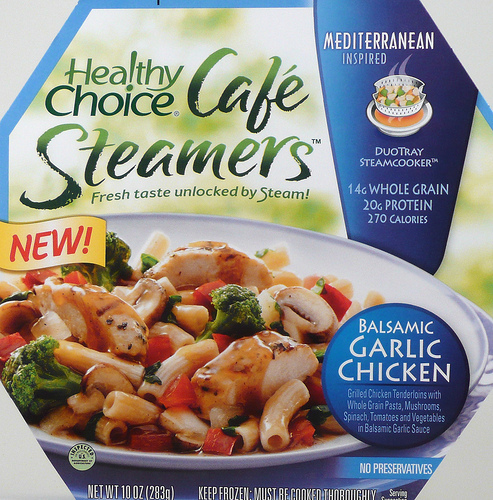 I stumbled upon an interesting discovery while eating this Healthy Choice Balsamic Garlic Chicken Cafe Steamer: all Healthy Choice meals are actually just different arrangements of the same chicken, noodles, and sauce. Take a look at some: #1, #2, #3, and #4. 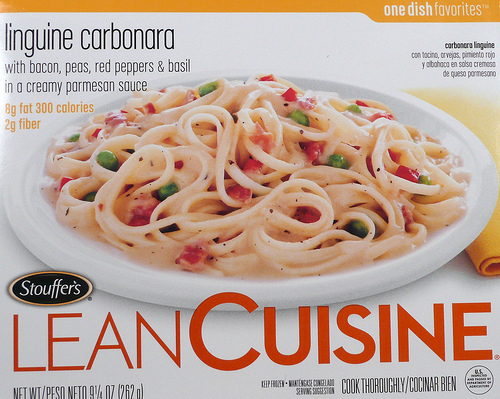 Healthy Choice has just packaged the same meal in many different boxes and then filled in the blanks in the name of the meal. In that spirit, here is my review of the Healthy Choice Balsamic Garlic Chicken Cafe Steamer; you can fill in the blanks yourself, or you can play along with a friend! 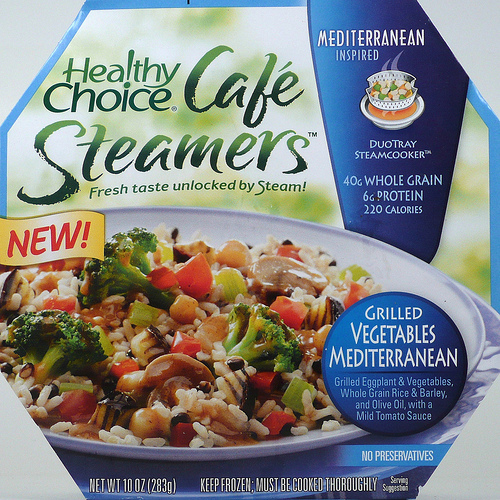 The Healthy Choice Balsamic Garlic Chicken Cafe Steamer tastes ___(adjective)___. There are definite hints of ___(noun)___ in each bite, and the ___(property)___ of the chicken is ___(adjective)___. I didn’t expect this meal to be so ___(adjective)___, but it surprised me and made me say to my wife, “Honey, this meal is so ___(adjective)___.” The vegetables were ___(adjective)___, but the pasta was predictably ___(adjective)___. Based on the picture on the box, it should have had more ___(noun)___, but the ___(noun)___ was close enough. Fill out this Mad Lib in the comments, and the best one will win a special surprise. I’m not going to tell you what it is, but it definitely is not not a box of Strawberry Pop-tarts. I’ve made carbonara myself from scratch; I’ve had it in Italian restaurants; I’ve even eaten it in Italy, where they tend to make pretty decent Italian food. While this (unsurprisingly) doesn’t come close to any of those three experiences, it’s a passable approximation for a frozen box that cooks in three minutes. 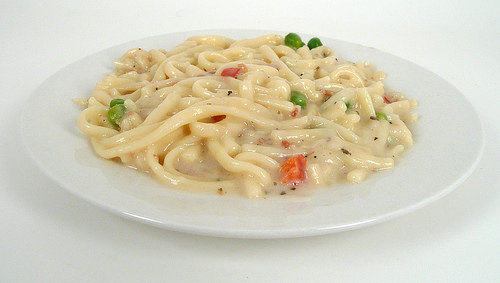 The sauce has the trademark eggy/cheesy taste of a carbonara sauce, but it’s way too loose. The noodles are too soft too, making this more of a carbonara soup than the thick pile of cheesy pasta that it’s supposed to be. 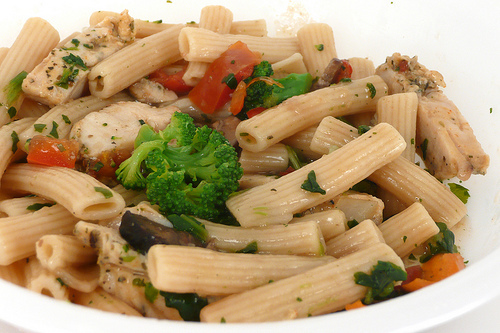 The best part of this meal is the obvious lack of meat. You won’t have to waste time on tender marinated chicken or juicy slow-cooked beef just to get to the delicious vegetable side dishes, like in most meals. When you open this box, you’ll feel like you died and went to heaven… vegetable heaven, that is! The broccoli tastes like broccoli. The eggplant tastes like eggplant. And the snozzberries — don’t get me started on the snozzberries! Who cares if you’ve been taking cold showers for a week because you’re late on the gas bill? So what if your wife left you and took your dog with her? You’ve still managed to keep the lights on, and that’s worth a reward. 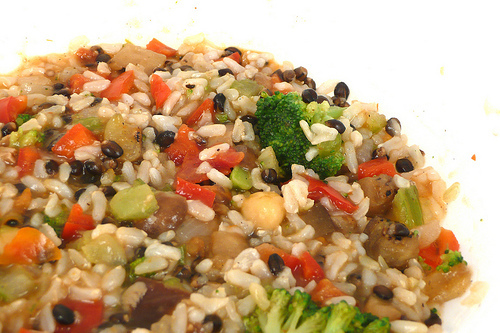 So set your microwave for two and a half minutes, and let your cares drift away – you’ve got some eating to do. 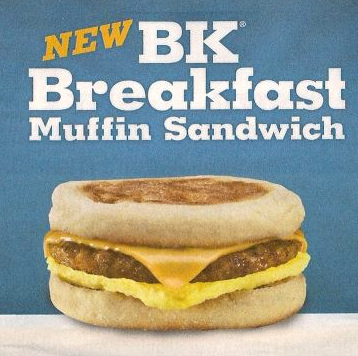 Taste: Burger King is advertising this sandwich as being blatantly stolen from McDonalds but offered for half the price, so let’s compare it to McDonald’s Sausage Egg McMuffin. The McDonald’s version is so oily I needed to call in the National Guard to help with cleanup efforts after I finished it, but this is lacking any sort of grease overflow. 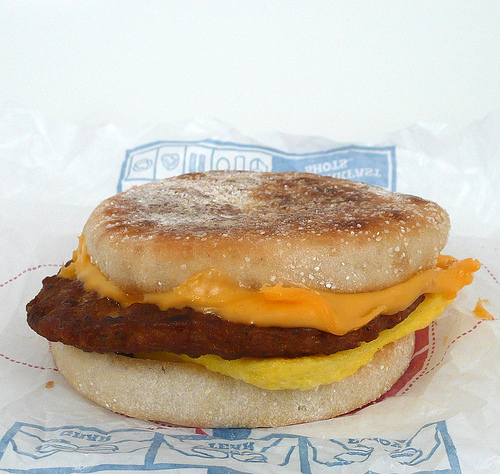 The sausage is just a little bit spicy, where McDonalds’ meat is unprovocative. The egg is mostly tasteless and not at all like McDonalds’ version of eggs, which aren’t too far off from the real thing.